In the 1970's Tannoy Red and Gold speakers could only be purchased in Lockwood cabinets, the 2 companies had an agreement whereby Lockwood would only fit Tannoy drivers in their cabinets and Tannoy would not build cabinets for studio speakers, this all changed in the 1980's. The Lockwood / Tannoy combination was a marriage made in heaven, the original Reds and Golds were superior speakers and it was a shame when they were replaced with more powerful models like the HPDs, Super Red & Super Gold. The originals were very efficient and could be driven with a modest amplifier. I had a pair of Lockwood Majors loaded with Tannoy Reds in my first studio and drove them with a Quad amplifier, even though the Reds were 15 Ohms the Quad amp provided plenty of volume. I bought mine from the late John Southerd of Trad, some of you older studio owners will remember him, Good Luck Sport. 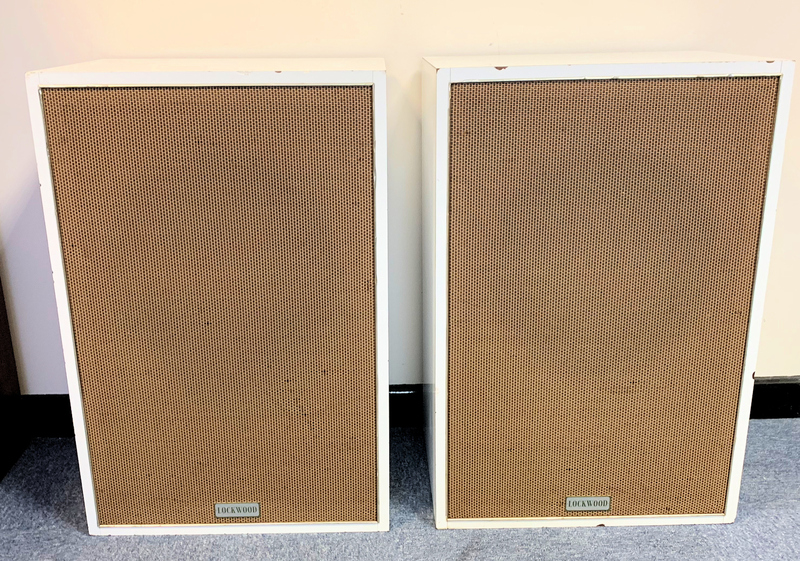 The Academies are loaded with 12" Tannoy Gold drivers, they are covered with white laminate plastic which has a few chips as can be seen in the pictures. Tannoy Dual Concentric speakers are 2 speakers in one, the centre of the unit houses the high frequency driver and the outer part of the driver handles the lower frequencies. True time alignment.